An ex-cop is hired by a pimp to find missing call girls and the man responsible behind their abduction. Three roommates are in search of true love. They each find a girl with whom they fall head over heels in love with. Now they just have to get the women to reciprocate. A debt-ridden young man attempts suicide, but is rescued only to find that his luck is finally turning. The film is about five friends who discover the harsh realities of life after college. Now this one's meant to be a coming-of-age drama about five friends who discover the harsh realities of life after graduating from college. It's a film about the tough choices one must make and about the consequences of one's choices. The film stars Dino Mora, Aftab Shivdasani, Sammir Dattani, Nauheed Cyrusi and newcomer Anjori Alagh as this bunch of best buds who decide to meet five years after graduation to see who's the happiest one of them all based on the direction their life would have taken in the five years ahead. I'm not going to play the spoilt-sport here by telling you who wins the bet, who emerges the happiest of the five, but I will tell you who's not terribly happy at the end of the film and that person would be me. It's way too long, it's dead boring, it doesn't tell you anything you didn't already know, and quite frankly, the film makes its point in such a round-about fashion that you feel like you're a class five student being forced to attend a moral science lesson. Films like Life Mein Kabhie Kabhiee make me really angry because I can see the film's director doesn't really give a hoot about this film. His disinterest, his indifference is evident in every frame of the film, and forgive me, but how can you expect anyone to give this film a chance, if the man who made it didn't invest any sincerity in it himself? 've seen many films directed by Vikram Bhatt and several of them have been quite terrible, but in all honesty I haven't seen one as pointless, as purposeless, as meandering and as indifferent as this one. To begin with, there's very little in terms of a plot here, every single character is a stereotype, the screenplay is straight out of a bad eighties film, the production value is as shoddy as a school play, the camera-work is consistently flat, and as far as Vikram Bhatt's direction is concerned, I suspect he did it in his sleep. Now remember, cinema is expected to be progressive and forward-moving, but Life Mein Kabhie Kabhiee is like taking two steps backwards. An upcoming actress must compromise on her honour in order to make it in the movies, an ambitious middle-class girl can only achieve her dream of becoming super-rich by conning a millionaire into marrying her. The only way to get ahead in politics is by sabotaging the opposition, and no business can be a success if you haven't greased enough palms. Can you imagine, these are the themes of this film! 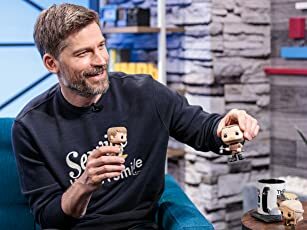 How many times have we seen all this before, and why do we have to see it all over again — especially since the director has nothing new to say? If you're brave enough to survive an entire screening of Life Mein Kabhie Kabhiee, then do inform the Limca Book of Records, surely this is exactly the kind of record that deserves mention in their hall of fame. I say this because it's difficult to sit through a film where you know exactly what's going to happen next, where you can predict every dialogue and every scene. I could sit here and analyse much of the film and tell you what works and what doesn't. But hey, isn't that what the director should have done after the script was written? If he had actually read the script closely and measured it's strengths and weaknesses, chances are this film would never have gotten made. And that would have been a favour to everyone associated with it including the actors who simply fail to rise above the damaged script. 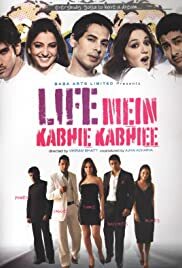 That's a thumbs down and only one out of five for director Vikram Bhatt's Life Mein Kabhie Kabhiee, it's exactly the kind of film they stopped making fifteen years ago.